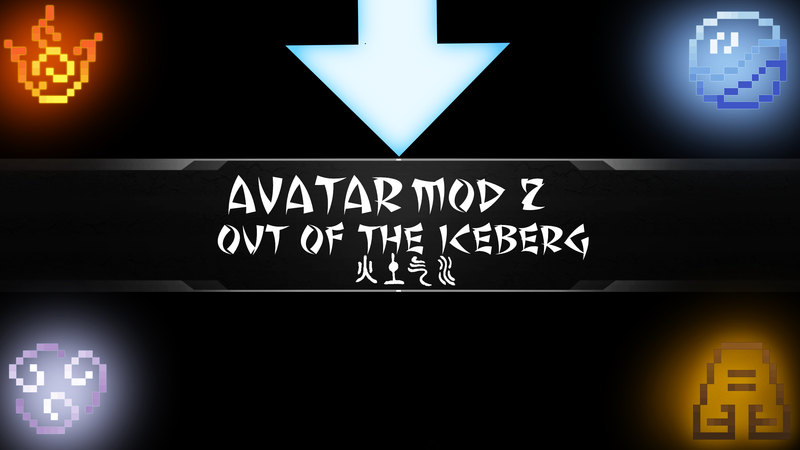 The Avatar Mod is a multiplayer-focused combat mod for Minecraft PC which will add all types of Bending from Avatar: The Last Airbender. The aim is to create fast-paced, team-based engagements with plenty of team tactics and RPG skills. This mod is currently in Alpha and under active development. While many of the planned features have not been implemented yet, the mod still provides an exciting bending experience as an alternative to traditional methods of warfare. There is also a discord! The project already includes the 4 major types of bending (Water, Earth, Fire, Air), 4 sub-elements (Ice, Sand, Lightning, Combustion), along with 32+ varied abilities for you to try out. There are also configuration files and admin commands for full control over your experience. Eventually, everything from the Avatar TV shows shall be added. Please do not suggest things like bloodbending, spiritual projection or the avatar state, as these are all planned! If you have specific ideas on how these should be implemented, feel free to join our Discord server and inform us of your ideas. In case you want to suggest something non-canon, feel free to do so, but know that the chance of us adding it is very low. Try reading the getting started guide. How do I get scrolls? Either get them in creative OR kill mobs and loot structures. How do I get more than one element? Currently, the only way to get more than one element is with commands. How do I set the level of an ability???? First of all, if you are using a hacked/cracked client, please note that these are not supported. Using an illegal account will often cause issues. To resolve this buy an account like most of us did. However, if you aren't using a fake username, please see the reporting bugs guide. Can I make a video, etc of this mod? Just make sure that you properly attribute us and give a link to our website or this page. Can you support Minecraft 1.7.10? No, unfortunately the code is changed so much between then and now that it would take too much time to manage 2 different MC versions. Minecraft 1.7.10 was released over 4 years ago! It's time to switch to the latest Minecraft version. Can you support Minecraft 1.10.2? In the future, but they are not a priority yet. What are the permissions for redistribution, etc? Basically, you can modify or redistribute as long as you credit us as the authors. However, you really should read the legal definitions here. You can make money off the mod, but unless you're using a rewards program like CurseForge's points, it's frowned upon, and we'd really prefer you not to. Additionally, Ad.Fly is also heavily frowned upon, as some of us (FavouriteDragon) hate adfly. Will servers be able to use/change this mod? Yes. Also, since this is licensed under GPL, anyone can modify the mod to their needs, as long as they provide copyright and credit the authors, as well as include the original source code. Can I use this in a modpack? Yes, but please, ask us first, and provide a link to this page & credit us on your modpack credit/front page. As players like to know what is going on, FavouriteDragon (tries to) post weekly updates in the comments over at MCF. If someone would like to run the official server, please PM FavouriteDragon. We don't have time for managing it with developing the mod and life. If you want to help right now, just PM FavouriteDragon, and he'll get you started on something! This mod is currently Minecraft 1.12 only, and requires Forge. Some previous versions are for 1.11, though, so look at which version of the mod you're downloading. - Under Minecraft Versions, click 1.12 (or 1.11, depending on what version of the mod you want to use). - Choose the appropriate "Download Latest"
- Run the downloaded installer, selecting "Install Client". If there is an error installing Mercurius, try running the installer again. Did you read the FAQ? Any question already answered in the FAQ will not be answered again the comments. You might get a reference to the FAQ if we are feeling particularly kind. hey, with this mod installed, when I learn lightningbending, the sky sometimes flashes like when you're doing the first skill, only I'm not doing anything. during this, my game also lags heavily. Laggoggles says that the cause of that lag is the player entity, and it went away when I uninstalled this mod. I really want to use it, and it worked fine for me otherwise (except a little bit of lag when trying to use the water snake), but with this problem I'm not sure I can. Hello, for a long time I tried to comb out the mode causing crashes when interacting with some objects from the extra utilities mode. In the end, it turned out to be your mod. Now regarding the system causing crash. Crash occurs when a player takes damage from spikes (I checked only diamond ones) from the extra utilities mode, and crash also appears when interacting with a mechanical user from the same mod. Thanks for attention. P.S. Extra utilities and your mod have latest version. when i use the sub bending it crashes my game. also is this mod going to be updated to 1.13 ? 1) What exactly did you do? 2) What mod version were you using? 3) What exact forge version were you using? 4) What other mods were you using? 5) Can you post the crash report in a spoiler? And yes, the mod will definitely be updated 1.13!!! Eventually. Also, try using the preview with the latest version of forge- that might make a difference. by the new update i cant play with a server how to dowload a older version of th emod ?? When you say the latest update, you mean a5.2, correct? What version of forge were you using? Tried using the new update, and couldn't open the Skills Menu. When I tried to use a scroll after acquiring firebending, and my game crashed. Any idea what happened? ---- Minecraft Crash Report -------- Minecraft Crash Report ----// Everything's going to plan. No, really, that was supposed to happen. Looks like the GUI decided "screw it, I'm out!" Crows will get out a fix this week. You tried opening the skill menu using 'k' after you unlocked bending, right? Yes, and nothing showed up. The game didn't lag or crash, it was like I hadn't even pressed it. Okay thanks for letting us know, it was an error on our part. Anyways, I've made a patch for it and you can download version a5.1 to fix. The game says I haven't learned bending even though I already entered the command and it said "*username* is now *all bending types*". This also happened in the previous version. Ok- downgrade to 1.12, (instead of 1.12.2), and create a new world. It should work. What do you mean fly? No, unfortunately the code has changed so much between then and now that it would take too much time to manage 2 different MC versions. Minecraft 1.8 was released over 3 years ago! It's time to switch to the latest Minecraft version.